During special events, it’s only best that you receive red carpet services. Transportation is very essential, whether you are celebrating a wedding, birthday party or even if you are going to prom. Are you looking for a limo company in or near Garwood NJ that will drive you in style? Then, look no further than Action Limousines. Action Limousines is a limousine services company that has been around for 40 years. During this period, they have offered quality transportation services to hundreds of residents in New Jersey. The company entails a fleet of VIP cars that will drive you to and from your destination. The staff aren’t only friendly but are professionals at what they do. Action Limousines is managed by John Garrabrant who is the owner. What Should You Expect from Action Limousines? One thing that you should expect from Action Limousines is that they will make your special day truly memorable. They tailor their transportation to suit your event and preferences. Additionally, they have a fleet of limos from which you can choose your vehicle of choice. The fleet of Garwood NJ limousines provided by Action Limousines are luxurious. As mentioned above, you can have the limos prepared for an intimate couple outing or a group of friends or family. For SUV lovers, you can hire the Luxury SUV Sedans. These type of cars provide comfort, class and elegance during your special occasion. The interior is well decorated and fitted with a CD surround sound player and a TV to keep you entertained. The leather seats are super comfy. READ RELATED Celebrate your sweet 16 with Action limo! There are two things in life that you will never forget; your prom night and wedding day. If you are planning to marry the woman/man of your dreams, then this type of limo will make your day unforgettable. You will arrive at your wedding venue in style. Action Limousines has the best wedding limos. You can choose the 10 passenger limo. The 14 passenger Lincoln super stretched limo, the New Chrysler 300 stretched limo amongst other luxurious limousines. Luxury SUVs are perfect for a group of friends who are looking to have a good time on their way to an event. It can accommodate 18 passengers. This car is big enough to fit a sports team or the bridesmaids. The luxury SUVs entail an iconic ceiling and leather seats. The sound system will keep you entertained and happy during your ride. Plus, it also had disco lights. You can throw a party there. Don’t like limos? Action Limousines still has you covered. You can opt to ride in one of their vintage vehicles. What better way to arrive at your wedding venue than in a 1961 Bentley Rolls Royce or a 1960 Austin Princess Rolls. A luxury limo van is an ideal solution for a small group. It can fit 14 passengers. The Garwood NJ Luxury limo van can take you to or from the airport. It can also take you shopping or for a tour. Why Should You Choose Action Limousines? Yes, the company does have a couple of luxurious and elegant vehicles. But, you are probably wondering, why should you choose Action Limousines? One of the reasons why you should hire them is because the company is committed to total customer satisfaction. The owner and manager, John Garrabrant is a professional businessman. You can call him at any day or time. He is always available for his clients. Customer satisfaction is his top priority. 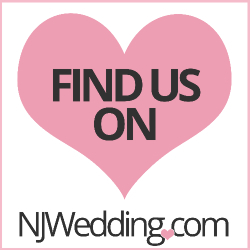 Feel free to ask around about Garwood NJ Limousines. Most people will refer you to Action Limousines because they are the best. Ever since John Garrabrant bought his first limo to provide wedding transportation services 40 years ago, he has never looked back. He works alongside professional chauffeurs that will drive you safely and give you triple-A limo experience. Action Limousines stands out among the many NJ Limousines companies. During special events, it’s only best that you receive red carpet services.